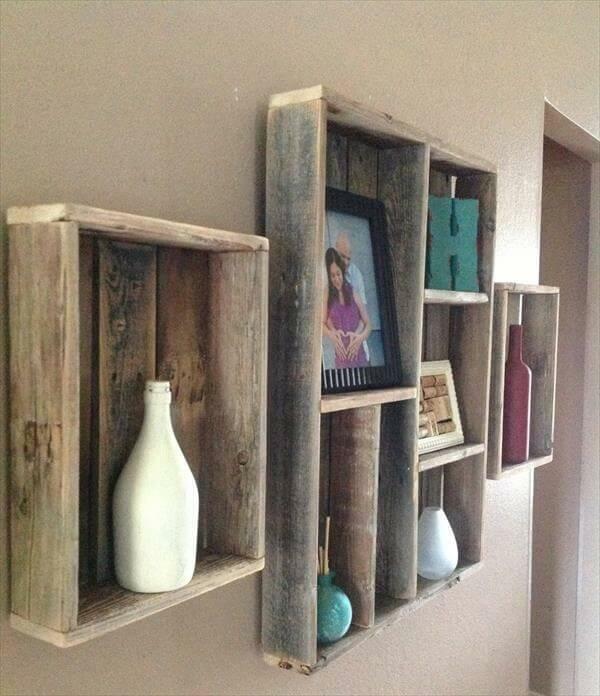 Recycling of wood is the best use of wood to make it saved for a long time. If we count for its growing up criteria and duration then wood becomes the most worthy natural resource, from which we get furniture and home wooden furnishings. By keeping the significance of wood in mind we have shaped up this DIY pallet shelves for decorative and ornamental home plans. 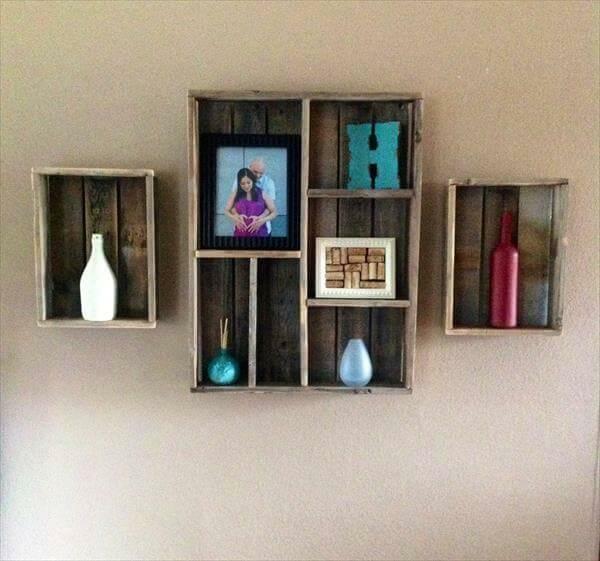 Give your pictures and artistic household a terrific view point and displaying gallery making a ledges and multiple shelf schemes out of pallet. We have recovered a standard big and mid shelf layout ant two tiny side shelves with a crate like joining of pallet wood. 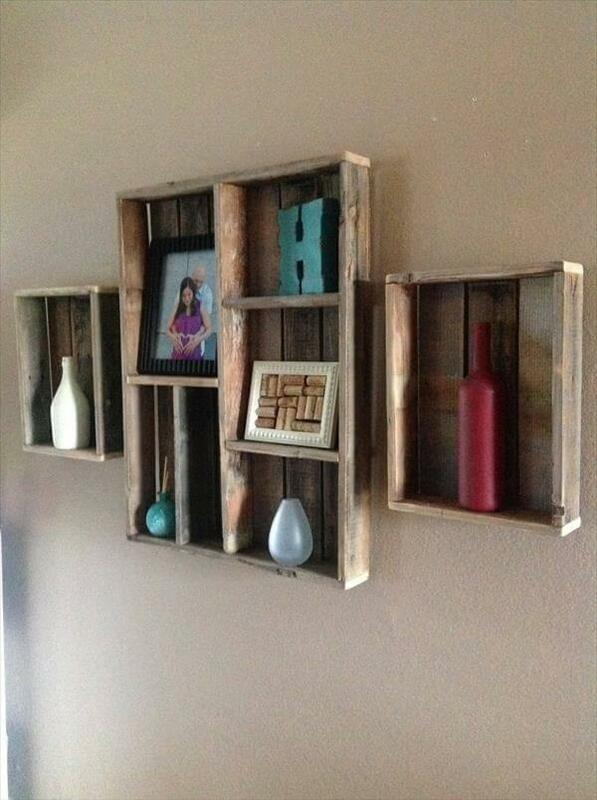 This DIY pallet project and shelf suggestion can be accompanied to any shabby chic home or room wall and will be rocking to modern environment and living style too.